"Oh boy professor this chapter just looks way too confusing. What's with all the numbers and gems?" about with the physics and logic of our world"
"Yeah okay professor . . . Whatever you say . . ."
"It's true you little whelpling runt! entire alternate realities of our dimension right here!" "hehe. . . whatever you say professor!" This is a place for creators who want to create and share custom URealms cards, but also houses a bunch of subforums for submitting tiles, maps, expansions, and anything else that might be helpful when playing URealms! You can submit your cards here on this subreddit by creating a thread or you can start a brainstorm session by coming up with a theme and having other users make cards as well. Please be kind and considerate when giving feedback on players cards or else you may lose your ability to post in these forums. 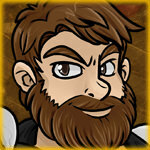 If you would like to make your own card use the URealms Card, you can do so on the main site! If you are looking to submit your own map, visit the Custom Maps sub-forum. If you are looking to submit your own tile, visit the Custom Tiles sub-forum. If you are looking to submit your own expansion, visit the Custom Expansions sub-forum. Finally if you have made something cool that would help other Gamemasters, you can submit it in the Custom Miscellaneous sub-forum. Please note that if you would like to submit anything on this forum, you will need to submit it under the CC BY 4.0 License which means others can freely use and adapt your work as long as they provide a credit to you in their project. If you are not willing to submit your work here under this license, then do not submit it. Part of what makes this forum great is the ability to freely share amongst each other and so if you feel your work is too valuable to put it under this license, then do not submit it. Please copy this message at the bottom of your thread, failure to do this will result in your thread being deleted! Please note that users do not have permission to take artwork and assets on our website and release them under CC by 4.0. You are allowed to share cards and character sheets here, but we do not give permission for our artwork or assets to be released under this license. Basically, if your just a fan making cards to share or put in TTS to play with your buds, your all good. If you are trying to use the artwork from our card creator or avatars from our website to do anything that involves money, you are out of line.